Levidi Suites is located at the foot of Mount Mainalon in central Arcadia, just 400 metres from the centre of Levidi. Our hotel is designed to blend into this enchanting landscape with perfect harmony. 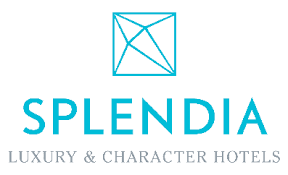 It was created out of our passionate love of this place and a vision: to provide a luxury experience, in a setting which reflects the natural beauty of the surrounding countryside, combined with our commitment to provision of the traditional warmth of the Greek hospitality. The site's photos are no exaggeration, it’s even more amazing in real life! Everything is as beautiful as it looks. Comfortable, clean rooms, good food in a beautiful restaurant, unparalleled views. I spent a wonderful winter long weekend This hotel has everything. Magical place, friendly, happy & helpful staff, clean environment!! Worth every visit!! Lovely hotel, very close to the ski resort, with polite staff and very good restaurant! Our stay was faultless, very high standard of cleanliness and the ambience of the hotel was awesome! We have been visiting Arcadia regularly for the last few years. 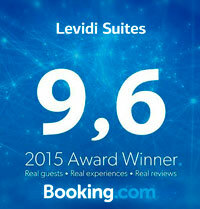 This year we stayed for 2 nights at Levidi Suites. It is the best hotel in the area. We were very pleased with our stay, and the food at the hotel was excellent. Congratulations to the owner for doing a wonderful job! Excellent accommodation, close to Athens, ideal for two or three-day weekends. They are pet friendly and organised to welcome pets. Rooms very large, clean and comfortable, with a fireplace. Breakfast very nice, and homemade.